Featuring a full day of activities, Downtown East is celebrating its 30-year anniversary. Taking centerstage of Downtown East’s festivities is the Music Festival. Happening at 4pm, this event will have award-winning The Sam Willows headlining the show, followed by a series of performances from Thelioncityboy, Sam Rui, Jack & Rai, Scarlet Avenue, Abbey Tan, and other talented artistes. 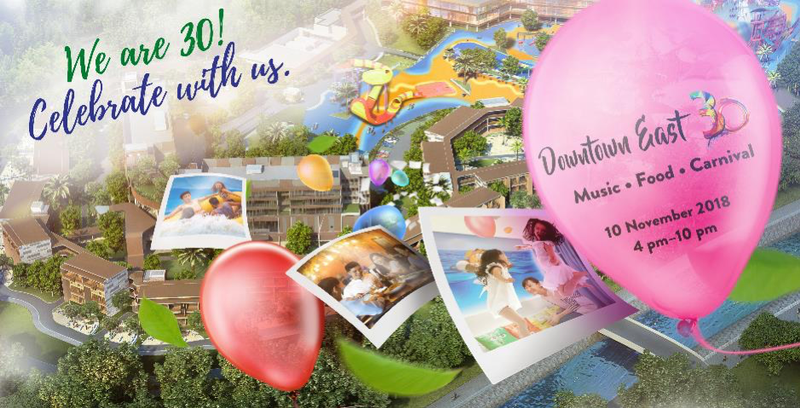 There will be a host of other activities happening throughout the day including Kblive Fest Upsize food bazaar, Uncle Ringo Carnival and other game booths hosted at the Community Village.